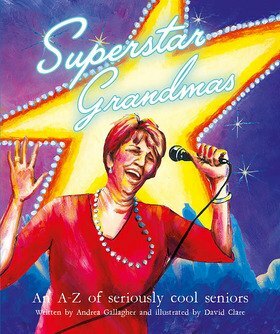 After more than fifteen years working as a corporate writer, Andrea Gallagher wrote Superstar Grandmas (and the follow-up, Mega-Rad Grandads) to fulfill a childhood dream of becoming a children’s book author. It was also an opportunity to present a positive image of aging to children. After becoming a mother of two boys, she was re-acquainted with the types of books that she had loved as a child, and now had two in-house test subjects to study and design stories for. 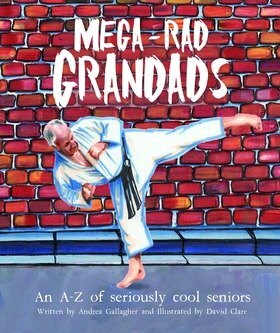 Through her children, she was also exposed to a generation of grandparents (more vibrant and active than any other before them) who became the inspiration for her rhymes. Andrea is a lover of old things, a collector of simple treasures, an occasional gardener, and a slightly-broken supermodel (which is also the name of her blog for grown-ups). Based in Brisbane, she enjoys an active, sunny lifestyle, raising her young family.